New Delhi : The PeaceJam Foundation May 4 announced that Nobel Peace Prize recipient Kailash Satyarthi has become a member of the foundation. Satyarthi, an Indian activist, along with Tawakkol Karman of Yemen, join 12 other Nobel Peace Laureates as members who will mentor youth to change the world. The addition of Satyarthi and Karman will allow PeaceJam to expand its award winning program to include issues of child slavery and grassroots democracy building, the foundation said. Satyarthi was awarded the Nobel Peace Prize in 2014 for leading a global movement to end child slavery and exploitive child labor practices. In 1980, he gave up a lucrative career as an electrical engineer in India to initiate a crusade against child servitude. As a grassroots activist, he has led the rescue of more than 85,000 child slaves and developed a successful model for their education and rehabilitation. Karman, a Nobel Peace Prize recipient in 2011, is the first Arab woman to win the prize. The PeaceJam Foundation is an international peace education program established in 1996. More than 1.2 million young people have participated in the program from 40 countries around the world, completing 2 million service projects to address the most pressing issues facing the planet through PeaceJam’s Billion Acts of Peace Campaign, the foundation noted. PeaceJam has been nominated for the Nobel Peace Prize nine times, including a 2017 nomination by Nobel Peace Laureate Shirin Ebadi from Iran. 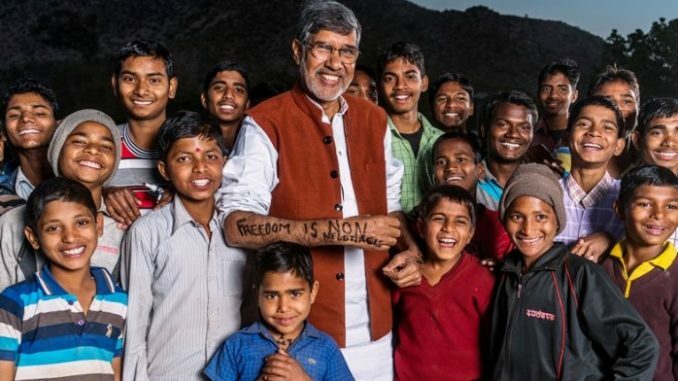 The PeaceJam Foundation May 4 announced that Nobel Peace Prize recipient Kailash Satyarthi has become a member of the foundation.